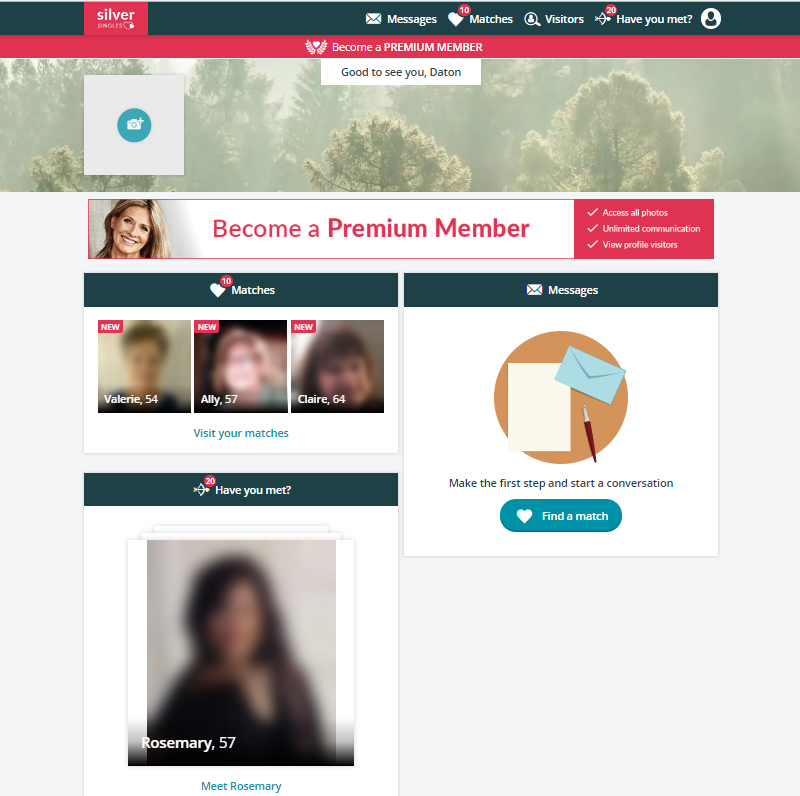 SilverSingles Review | Is this dating site worth it? Paid Membership Pricing: 3-month membership $57.95 per month, 6-month membership $34.95 per month (current special offer of 22 percent savings), 12-month membership $31.95 per month. SilverSingles is one of the largest online dating websites for singles over the age of 50 who are looking for a serious relationship. Whether you have been single, are divorced, separated, or widowed, you will find in our SilverSingles review that they are one of the greatest online dating communities filled with quality singles. 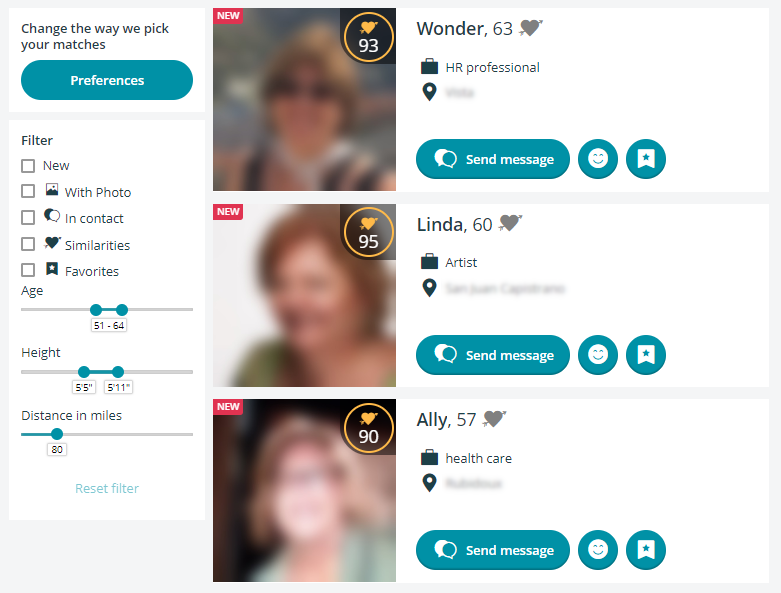 SilverSingles has been in the industry for over 17 years now and has paved the way for online dating for the 50 plus crowd in the U.S., Canada, United Kingdom, Australia, France, and Germany. SilverSingles makes the process of online dating so easy for its users and has one of the easiest websites to navigate compared to other websites in its bracket. The signup process for SilverSingles takes you through a very thorough questionnaire (personality test) which contains a total of 125 questions, and 7 open-ended essay style questions. The total signup process takes approximately 45 minutes to 1 hour. You do have the ability to save your answers to the personality test and then login later to pick up where you left off, so if you can’t sit still that long, no worries. The signup process creates your profile for you, so your profile is basically done upon the completion of the questionnaire (personality test). The personality test may take awhile to complete, however it is very important to take your time and be honest with how you answer the questions. The more accurate your responses to the questions, the better suited your match results will be. Don’t just answer the questions based upon what you think someone else would want to hear. Answer the questions based upon what you know about yourself to be true. In 1992, psychologists McCrae and Costa created the Five Factor Model theory for personality traits, and SilverSingles bases their personality test using their model. 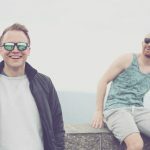 Along with the Five Factor Model, SilverSingles gained insight from industry experts and psychologists specializing in relationships and online dating. The test is made up of different sections which ask you questions based upon your preferences, preferences in a partner, how you feel and think about yourself, and the things most important to you. The results of the personality test are classified and detailed for you to review at any time. You are not able to review the full detailed report unless you have a paid membership, but you are able to see a summary of your test results. You may access your results by selecting the Personality tab on your profile page. 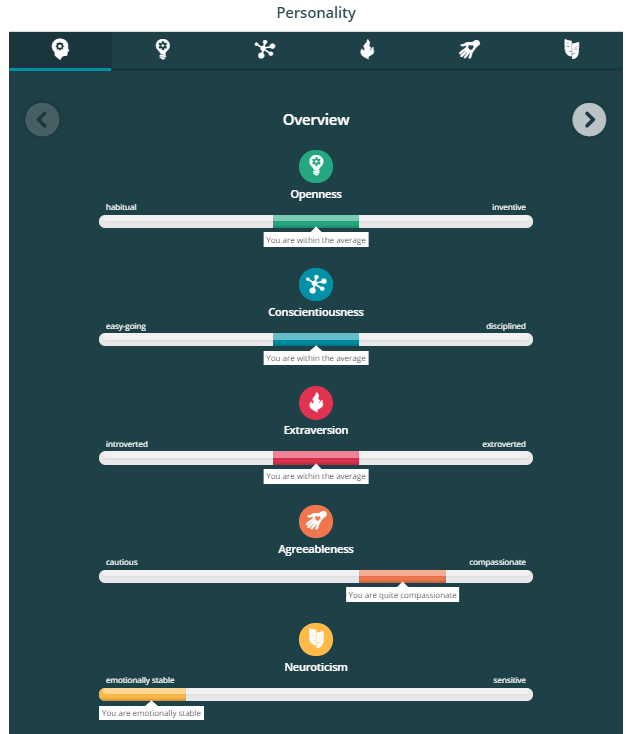 SilverSingles includes a nice visual summary to classify your results in an easy to understand format. 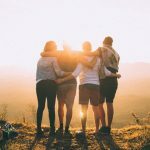 The personality test results are classified into five areas for you and for your potential matches. First area is Openness, this is regarding whether you are more habitual or inventive. Second area, Conscientiousness, this is if you are more easy-going or more disciplined. Third area, Extraversion, this is regarding whether you are more introverted or extraverted. Fourth area, Agreeableness, this is if you are more cautious or more compassionate with how you interact with others. Fifth area, Neuroticism, this is if you are more emotionally stable or more sensitive. Your matches can only see their compatibility with you, they cannot view your full personality test results. Should you strongly disagree with your test results, you are able to contact SilverSingles through their Customer Care link and request them to reset your profile. Please note, this will put your account back to a default point and you will have to start all over again. Perhaps you had a real off day when you initially took the personality test, and you want to retake the test, no problem, just contact customer support. Profile picture uploading will take place immediately after you complete the personality test. Having profile pictures means that your online dating profile will be viewed eight times more than profiles without pictures. Only profiles you have been matched to will be able to view your profile picture as an added level of privacy and security. All profile photos must be approved by the SilverSingles team. Once your photo has been approved it will be visible to other users you have been matched with. SilverSingles is jam packed with great quality matches and is the best possible choice for anyone over the age of 50. If you are mature, older, or a senior single looking for quality over quantity in the online dating community, then SilverSingles is the best online dating site for you. SilverSingles has well-rounded men and women who are truly interested in meeting someone great and creating that genuine relationship. The profiles we viewed on SilverSingles database were very diverse with a wide range of lifestyles, interests, personalities, and hobbies. The profiles were easy to read, and all the users were recently active since SilverSingles does a great job of filtering out any potential matches which haven’t been active recently. The websites matching algorithm takes the results of your personality test and the specific preferences you listed to search the online dating websites subscriber base and find the best possible matches for you. SilverSingles does the work for you by sending you your best possible matches, you don’t need to worry about searching through tons of online dating profiles. The daily matches are a great feature allowing you to dismiss any matches you’re not interested in, or it gives you the option to send a smiley face to let them know you are interested, or you can even send them a message and get the conversation going. The bottom line result of our SilverSingles reviews is … SilverSingles believes that the best relationships are built between two people who are not 100 percent identical, but who have enough commonalities to keep things interesting… or spicy if you will. 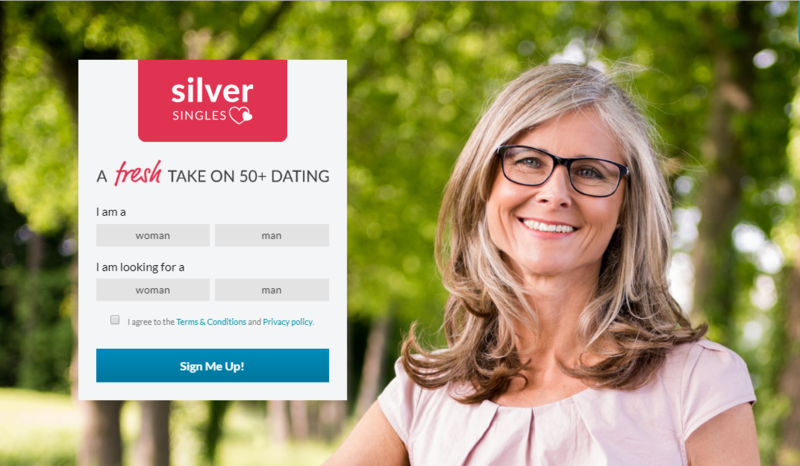 SilverSingles is the go-to destination for online dating if you are over the age of 50, and seriously looking for friendship, love and companionship. The Silver Single website is extremely easy to use, which our reviewers were very happy about! We love when technology is streamlined and simple to use no matter your level of expertise or comfort. If you are not the best with a computer, then invite over your child, neighbor, grandchild or friend and have them help you through it. You will be glad you did because SilverSingles has one of the largest networks of online dating profiles for users over the age of 50. Everything you need to look at is accessible through your home page or profile page. Navigating to either page is very easy, all you need to do is hover your mouse over the round picture icon in the upper righthand corner of the webpage and then select either Home or Profile. These links toy our home page and profile page are assessable no matter what page you are on while logged into the SilverSingles website. If you are having any technical issues with the website, you may contact the customer support team via email at: info@silversingles.com. Be sure to take a screenshot of the page you are having an issue with (and any error messages as well) and include the picture within your email message. For the customer support team to expedite a response to your inquiry, be sure to reference within your email message the email address you used to create your SilverSingles profile. There are a lot of great features on the SilverSingles dating website. Some of our favorite features are the daily matches sent right to your home page, professional coaching for a profile makeover, viewing all profile visitors with a premium membership, and viewing all updates and messages in one location – the home page. With other online dating sites, you’ll have to search through endless pages of matches, and your brain turns into a pile of mush after a while, eventually the only thing you start to remember is if someone was attractive or not… another reason why a great profile picture is a must. With SilverSingles your brain can remain intact and your stress meter can stay in check. SilverSingles does the work for you, so you can relax and enjoy the new matches sent directly to you each day. Your new matches can easily be viewed on your home page. Another great feature is the Coaching option. You can access this feature by hovering your mouse over the small, round picture located in the upper righthand corner of the webpage, then select “Coaching.” For a small fee of $99 you can have a professional online dating profile writer help you to write your profile in a way that will attract more users to inquire about you. 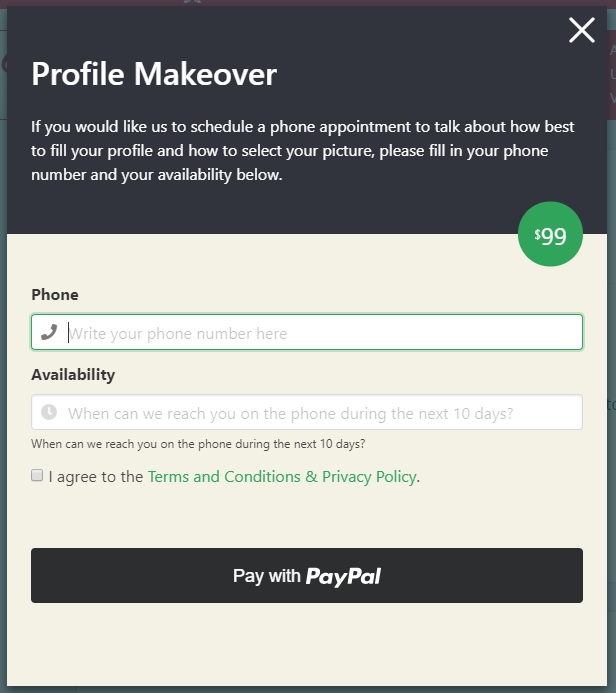 We like that the consultation is a phone consultation too, and the professional will run through every area of your profile with you. How great is it to not only see who has visited your online dating profile, but how often they have visited? Oh yeah, that cutie was checking you out! They visited your profile page 8 times, and they sent you a smiley face! It’s good to be in the know sometimes, and this is one of those features so worth being in the know about. As a paid subscription Premium member, you have access to view all visitors to your profile page. One of the best features is the streamlined Home Page. We love being able to see all updates and notifications in one place! 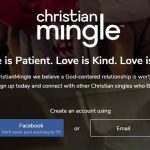 With other online dating sites, they have a separate page for everything, this tends to overcomplicate things that just don’t need to be complicated. SilverSingles hits the nail on the head with the ease of use of their website and the great Home page. The customer support team of SilverSingles is genuinely concerned with your satisfaction and success with the use of their online dating service. They take great pride in the work they do in helping thousands of people find love each day. Contacting the Customer Care team from SilverSingles is quite simple, you may send an email with any inquiry to: info@silversingles.com. The SilverSingles team is in the office from Mondays thru Fridays, 9 AM – 6 PM GMT+1. The customer care team is in Berlin, Germany, so please be mindful of time zone differences when making inquires and expecting a response. The customer care team is not available on the weekends, so messages sent over the weekend will not receive a reply until the next applicable business day. The customer support team replies to every message as soon as possible. When sending an email inquiry for assistance with any issue, be sure to reference the email address you used to create your online dating profile with SilverSingles. Additionally, there is a user ID number located within the account section of your user account, this number is also referred to as a Secure Code; if you have this number available then add it to your email message to assist the customer care team with further locating your account. Be sure to list the most relevant topic related to your inquiry as the subject of your email message. List as many details about your inquiry as possible. If you are having a technical issue, take a screenshot of the page you are having an issue with (and any error messages as well) and include the picture within your email message. You may also send a fax with your inquiry to: +1 (646) 760-2453 or mail any inquiries to: SilverSingles Customer Care Spark Networks, 3300 N. Ashton Blvd, Suite 240 Lehi, UT 84043. There are two different types of memberships available through SilverSingles, free and paid (or Premium). Free memberships allow you to send messages and smiley faces to other online dating matches, however it has its downfalls. The biggest downfall is an inability to view other users profile photos… yeah, not even one. The ability to see your online dating matches picture is huge. 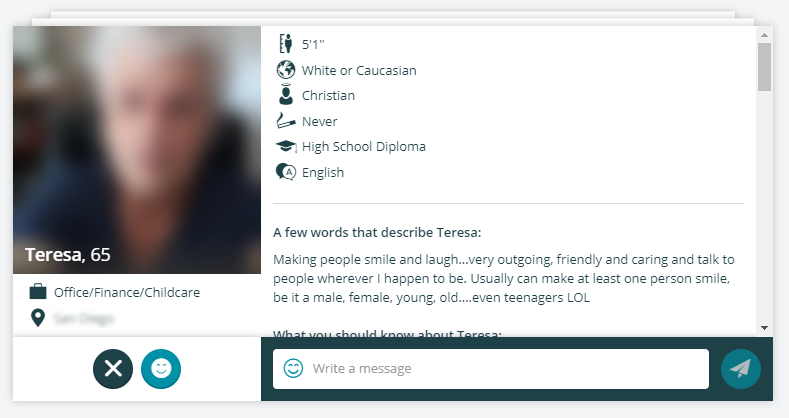 You can send messages to other online dating users within SilverSingles with a free membership, however you have no idea what the person you are writing to looks like because you cannot see their photos. Yikes! Upgrading to a paid subscriber Premium membership is worth every single pretty penny to see what your potential matches look like. Despite what you may say about “looks are not everything” you are still human, and you will want to know who it is you are writing to and potentially meeting up with in person. Read receipts are important. Okay, so maybe you aren’t concerned with getting your receipt when you leave from the grocery store checkout stand, but we’re not talking about that kind of receipt. A read receipt is an electronic signature per say of when the person you sent a message to opened up the message and read it. 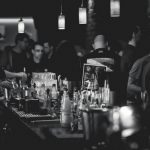 Oh… you didn’t know that was a thing, well… it is, and it is a great tool to have in your belt when it comes to online dating. Pricing plans for Premium subscribers are cheaper when you select more months up front. The greatest use and savings will always be with the longer-term subscriber plans. If you think about it, finding a truly great match is worth the investment and this also takes time. Some people find a great match their first week of online dating, others (most of us) need to invest at least six months or more into finding our new boo. Our reviewers were thoroughly impressed with the quality of the website layout, ease of use, and caliber of matches available through the SilverSingles online dating site. 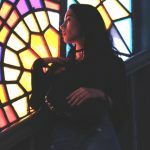 There is such a unique mix of people and backgrounds all utilizing the amazing product SilverSingles has created. We believe SilverSingles is worth it for anyone out there over the age of 50 who is serious about finding companionship and love. 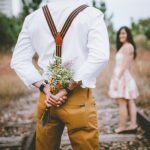 With so many online dating site options out there, these days it can feel overwhelming trying to figure out where to start, well to that we would say start with SilverSingles. If you aren’t the best with writing a profile, then utilize their Coaching service and do a phone consultation with a professional. Whatever you decide, you would urge to try it out by first using the free account for a day or so to see if you like the layout and matching process as much as we do, and then upgrade to a Premium membership once you already understand how all the features work.